5* 50 taster packs of our hand roasted coffees. Will be packed with coloured 'sizzle pack'. May not be the colour shown. Toilet Roll (Andrex, of course) For the mornig after. Will be packed in a wicker tray with coloured 'sizzle pack' and sealed with shrink film. May not be the colour shown. Discover the wonderful flavours of the Mediterranean with the new and improved Mediterranean Cheese Making Kit. Its now even more stylish and really is a fantastic gift for any cheese lover. Imagine the fun your Dad or Mum or best friend will have making cheese. Of course, youll have to mention (sorry, demand) that youre Official Cheese Tester! Though you could always buy one for yourself and fresh homemade cheese will only be an hour away! Theres a lot of mystery surrounding cheese making, but its so so easy. If you can make a cup of tea you can make cheese! With these 5 different cheeses to make across 20 batches its enough to keep everyone in cheese for quite some time! that would be a crazy amount of cheese! Stored in your cupboard this kit will last absolutely ages (well over a year) so you have plenty of time to enjoy it and dip in and out of cheese making. This new and improved Kit contains all the ingredients for cheese making with the addition of herbs and spices to help create your own flavours, and a cheese mould to shape cheeses into wonderful centrepieces. Contains four jars, Apricot and Almagnac, Raspberry and Cassis, Strawberry and Champagne, Orange and Whisky marmalade. The ULTIMATE Cheese Making Kit is the bumper edition the daddy of all cheese kits! The ideal gift for any cheese lover. Enough to keep them busy in the kitchen for quite some time! Mozzarella, Ricotta, Halloumi, Goats Cheese, Scottish Crowdie, Queso Blanco, Labner and Paneer. The kit contains enough ingredients to make 40 batches. Each batch is around 900g thats a lot of cheese! 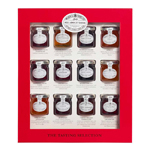 The Tasting Selection consists of 12 x 42g pots; Strawberry with Champagne, Tiptree Orange Marmalade, Morello Cherry, Apricot, Raspberry with Cassis, Tiptree Strawberry, Black Currant, Orange Marmalade with Malt Whisky, Apricot with Armagnac, Raspberry, Tawny Orange Marmalade and Little Scarlet Strawberry. Contains jars of Hot Gooseberry Chutney, Tiptree Chutney, Hot Mango Chutney, Onion Relish, Tomato Chutney and Hot English Mustard. This simple cheese making kit contains everything you need to make fresh delicious Halloumi in under 3 hours! 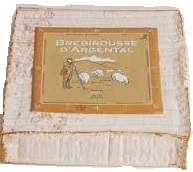 Its incredibly straightforward, a great introduction to cheesemaking. The Kit comes with Organic Dried Mint so you can achieve that traditional Cypriot taste. The kit contains enough ingredients to make 12 batches. Each batch is around 900g. Kit requires 4 litres of unhomogenised milk (Gold Top Milk) which can be found in all major supermarkets and many Farm Shops and Delis. Contains 6 jars including Apricot, Blackcurrant, Raspberry and Strawberry preserves, with Orange and Tawny orange marmalade.